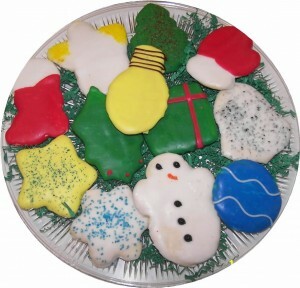 Because our cookies are baked fresh daily, we can only accept certain amount of cut-outs each day. Order early to reserve your pick-up date. Every order is shipped priority mail. Postage is based on weight and destination. A $2.00 handling fee is added to each order shipped. Last day for mailings is December 12th. Local Delivery is available daily. Please call before 11:00 am for better opportunity for same day delivery.